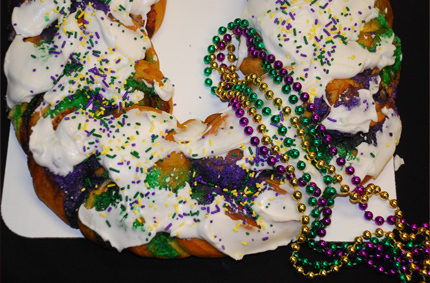 Nothing beats a real New Orleans King Cake! 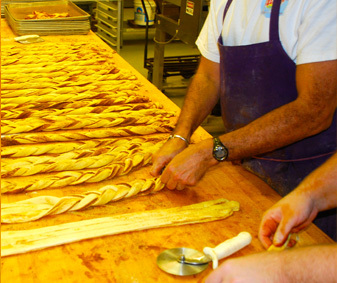 New Orleans is famous for their delicious food, and their King Cakes are no exception. 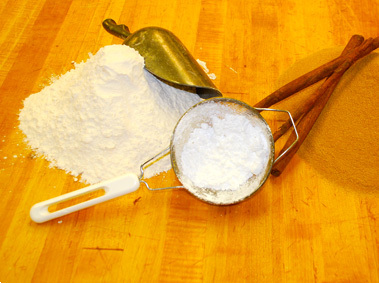 On this site, you’ll find easy King Cake recipes that will make your house smell like a New Orleans bakery, and will make your family dance like they’re the kings of Mardi Gras! 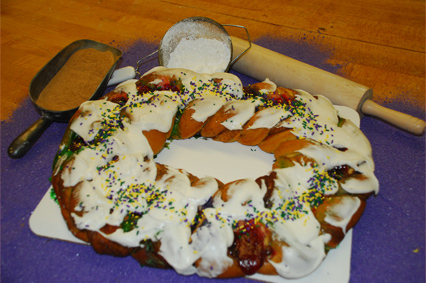 Make your own King Cake today! Whether you're making king cake or ordering king cake, you're in for a treat. Traditional French King Cake Recipes are filled with cinnamon and sugar, but there are now many different varieties. Filled King Cake are very popular because they add a unique spin on a classic New Orleans dessert. 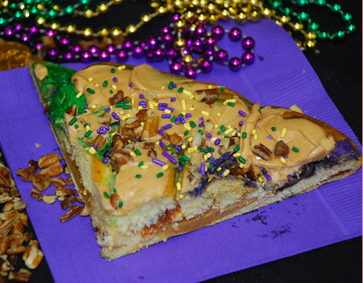 Praline filled King Cake, along with strawberry and cream cheese are among the most popular filled King Cake recipes. 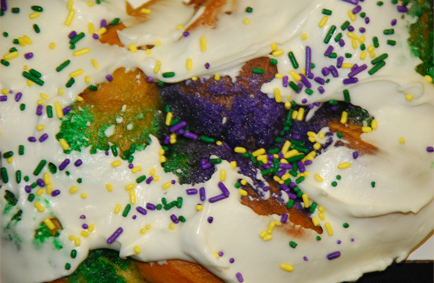 Try some of my king cake filling recipes, or experiment to make some of your own! I love your recipes! The Traditional King Cake is my favorite, and it was a HUGE hit with my kids. This is the best king cake I've ever had. I made the strawberry and cream cheese cake, and I loved it. Thanks for the easy delicious recipe! I was a little scared to try this, but it came out really well. The directions were easy to follow, and the king cake turned out perfectly. So good!